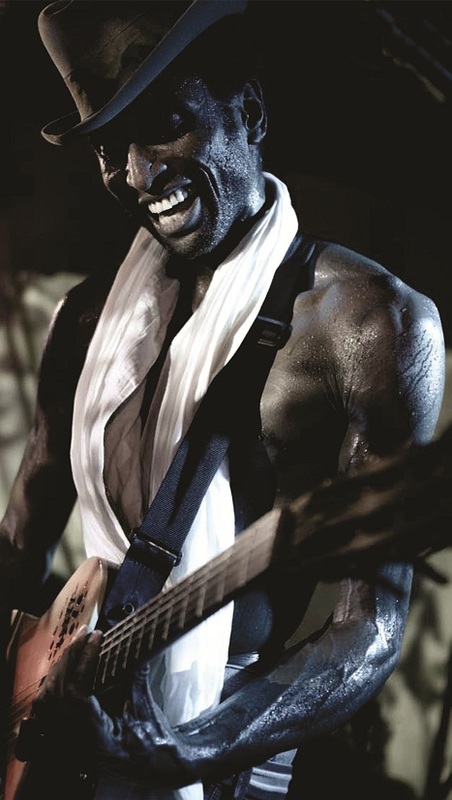 The internationally acclaimed singer, songwriter, guitarist and king of Blufunk- Keziah Jones, performed a solo concert on the night of the opening event. Rare enough, this very special event was topped by a live painting action by Nigerian artist, Native Maqari who combines the traditions of mural-painting with comic and street art styles. Keziah Jones’ very special musical style is a fusion between raw blues elements and edgy funk rhythms. His roots in Yoruba music and Soul music can be considered a major influence on his sound. His shows are legendary for his distinctive guitar-playing styles and for playing his gigs most times with bare torso. The choreography of ARALAMO explores the spiritual and physical characteristics of man from his vision to his realization in the face of his idealism. Performed by Sunday Israel Akpan, ARALAMO was inspired by the Black Heritage Festival, which brought together roots of African ancestral history and Africa’s traditional background. It was dedicated to Etim Emmanuel, Virginia Okereku, Professor Adetokunbo Sofoluwe, one time vice-chancellor of the University of Lagos, victims of the last Dana Airline crash and to all who lost their lives at the different bomb blasts. 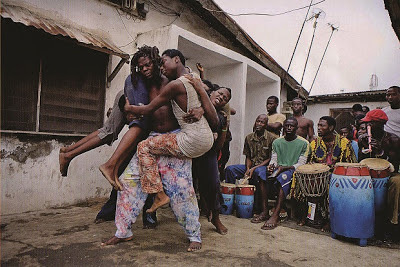 In INPINYA and BARIGA, Crown Troupe presents their very personal view of Lagos; the everyday struggles and the life of the younger generation in this gigantic city. Caught in short and touching scenes, backed by pumping drum rhythms, Crown Troupe of Africa performs right in your face and brings up stories of personal responsibility and political engagement. 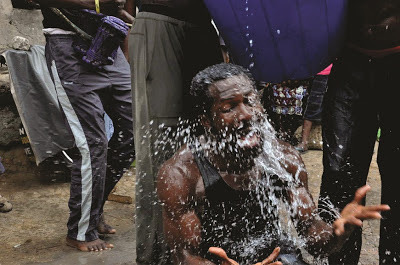 Jelili Atiku’s Porongodo was an intervention performance in public space that referenced the hysterical contents of human history and attempted to show memorials of sacrifice, pains, sufferings and callousness. 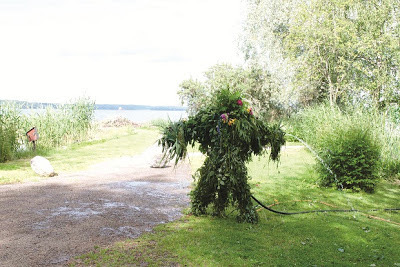 It set in motion the interaction of organic and inorganic matters through a construction of human abode and the presence of human body in the space. Here, bones stood as a metaphorical statement of destruction and degeneration. The work of Video Art Network (VAN) Lagos opened a multi-perspective picture of contemporary Lagos. Evidently, the city has begat multiculturalism as an insatiable infiniteness that defines its identity. It is noteworthy that Nigeria’s vibrant digital video film industry, also known as Nollywood, has been increasingly referenced with regards to making films about or from the African continent. The vibrant film stories, being told by Nollywood, embody the prevalent happenings that interface the Lagos landscape. VAN Lagos presented a compilation of works from various artists from different parts of Africa. The artists and their works speak eloquently of the complexities of the African continent, raising very pertinent questions and discourse on issues and topics that define multiple specificities, trajectories and conditions in a continent rich in history, social-political, cultural and economic conditions. VAN Lagos remains proud to pioneer the exploration of video art both formally and conceptually in Nigeria.